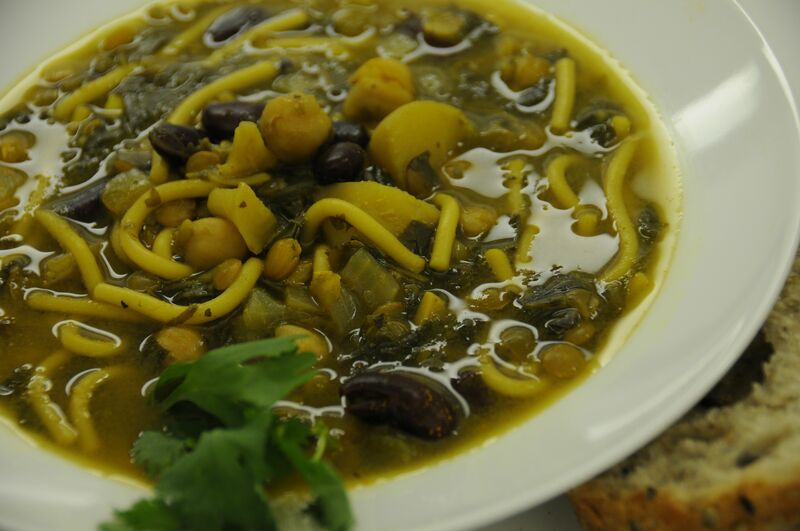 By way of an explanation, when I was in Mission, BC, last January, my new friend Sabina, gave me the recipe for this wonderful Persian soup. We didn’t get an opportunity to make the soup together so the quantities were just what Sabina guessed at. Her mother-in-law had taught her, and so on, and so on … the result today was very edible and so I’ll record as best I can what I used. I did look this up on the internet and there seems to be some commonalities from one recipe to the next, but there are a lot of differences too. Not only are there differences in the ingredients, there are also Afghan variations. 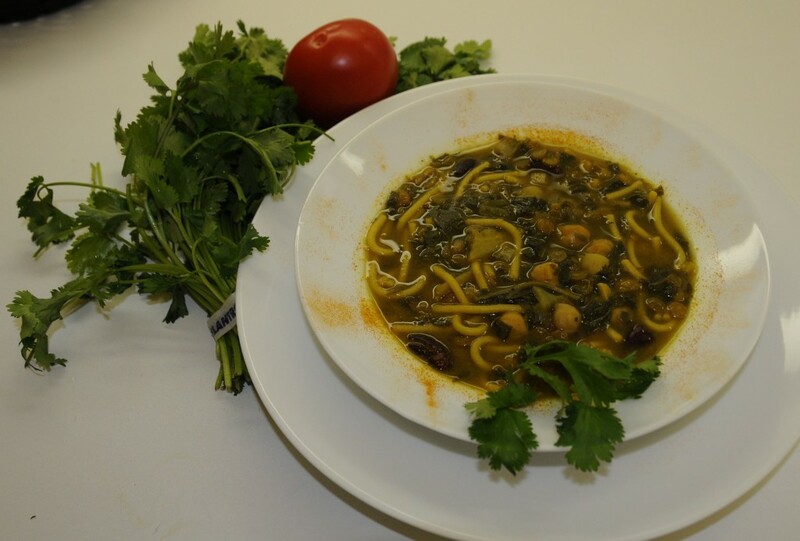 From Wikipedia – Aush is an Afghan soup dish made with noodles and different vegetables in a tomato-based broth. It is topped with chaka/sour cream and dried mint. Wikipedia doesn’t have an entry for Osh as a soup, but this spelling is used for similar recipes on the net. Directions: In a soup pot or large Dutch oven, saute onion in oil briefly, then add next four ingredients and continue stirring for about 3 minutes. Add 3 cups water and brown lentils, stir then cover pot and cook for about 20 minutes or until lentils are almost done. Add remaining ingredients, bring to a boil and then simmer for a further 10 to 20 minutes or until lentils are soft and flavours have developed. This did make for a very full pot! Oh, and I haven’t done very much food photography so this is just a starting point for me!